1.2 How Do Weighted Blankets Work? 1.5.1 Do Weighted Blankets Really Work? 1.5.2 Can A Weighted Blanket Help Me Sleep Better? 1.5.3 Do Weighted Blankets Work For Anxiety? 1.5.4 Do Weighted Blankets Work For Adults? 1.5.5 Do Weighted Blankets Help With Depression? 1.5.6 Can you make a DIY Weighted Blanket At Home? 1.5.7 Can Weighted Blankets Help Children with Spectrum Disorder / ADS? 1.5.8 What Weight Should I Choose For Toddlers Heavy Blanket? 1.5.9 Who can benefit from a Weighted Blanket? 1.5.10 What Are Weighted Blankets Made From? 1.5.11 Do Weighted Blankets Help People With Autism? 1.6 Where To Buy a Weighted Blanket? 1.7 Should I Give It A Try? Are you on the market for a weighted blanket and you constantly get confused by the sheer number of products, claims, and reviews there seems to be? Weighted blankets are rapidly gaining popularity with people suffering from anxiety, insomnia, stress, trouble focusing and more. Weighted blankets are designed to simulate the feeling a human hug as closely as possible and help relieve the symptoms of ADHD, sleep disorders and even help kids with autism and trouble focusing. I was just like you as well. Until I decided to just buy the ten most popular blankets on the market, test them each for a few weeks to see how they feel, what’s the big deal about them and do they really help stress and anxiety sufferers. That’s how Weighted Journal was born! The best weighted blanket reviews are completely unbiased and as objective, as I can make them. 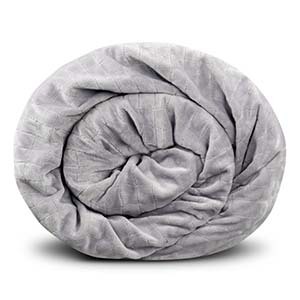 There is a reason why some weighted blankets are much better than others and the Gravity is making a serious statement in terms of quality, customer service albeit the higher price. So please read on the see whether I can help you choose the best weighted blankets for anxiety, for adults and all your needs and help answer all the questions that you might have about weighted blankets altogether. Today, stress has become a normal part of life. It has taken a toll on the quality of life of people of all ages. One of the effects of stress is the emergence of sleep problems. Aside from stress, many people live with certain conditions that can affect one’s physical and mental health. These include anxiety, depression, insomnia, restless leg syndrome, stress disorders, panic attacks, phobias, attention deficit hyperactivity disorder (ADHD) and autism spectrum disorder (ASD). The good thing is, many therapeutic methods can help relieve all these problems. 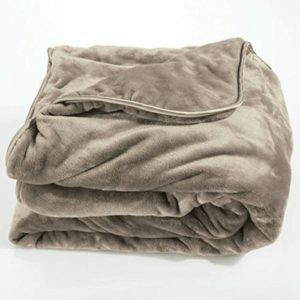 Weighted blankets, for one, have been proven to relieve not only the symptoms of these conditions but also, improve the overall quality of sleep. It has gained immense popularity over the years because of its efficacy in providing good sleep not only among people with sleep problems but also for those with mental health issues. 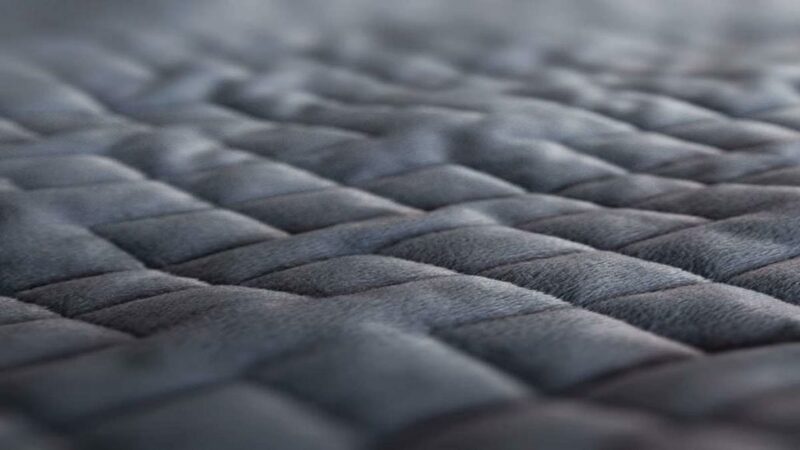 A weighted blanket, just as its name implies, contain weights in the form of tiny glass beads or plastic beads to provide the feeling of being hugged, cradled, or grounded during sleep. As a result, the body releases feel-good hormones that create a feeling of relaxation. It helps improve the quality of sleep by making you sleep faster and longer, without tossing and waking up in the middle of the night. Weighted blankets work by providing the feeling of being hugged, grounded, cradled, and cuddled. As a result it enhances the feeling of relaxation and being calm. DTP has been proven by science as an effective method to relieve many conditions, including sleep problems. It pressure helps the brain produce and release serotonin and endorphins, which are chemicals that are naturally produced by the body to feel calm and relaxed. It is notoriously successful in helping reduce feelings of anxiousness. How does it work exactly? Deep touch is a form of tactile sensory input that is provided by stroking, hugging, massaging, squeezing, and hugging. The sensation focuses on improving the activity of the parasympathetic system, or the rest and digest system, and reduce the activity of the sympathetic system, or the fight or flight system. Aside from that, the pressure triggers the production and release of serotonin. Serotonin is a neurotransmitter that has been linked to the development of various conditions such as depression, anxiety, autism, stress disorders, ADHD, and insomnia, among others. Serotonin is a vital chemical messenger or neurotransmitter in the human body that helps regulate mood, appetite, social behavior, sleep, digestion, and memory. Weighted blankets also help boost endorphin levels in the body, which is a chemical produced naturally for the body to cope with pain or stress. It is a calming agent that benefits those who suffer from chronic stress, anxiety, pain, and unrest. The blanket calms these individuals, providing them with control over their lives and allowing them to improve their quality of life. So, weighted blankets help people by not only improving sleep but also, helping people cope with their conditions effectively. Who would’ve known that by starting a Kickstart project, Gravity will be able to create the best-weighted blanket today! Due to its quality and craftsmanship, Gravity company raised a whopping $4.7 million and has sold more than 60,000 units in just one year! Why makes it the best overall? It is pretty simple actually – it is an elegant product made of quality materials and pretty effective in relieving symptoms of anxiety, stress and offers a nice hug too. It is the perfect choice for those who want a plush fabric that can actually help with sleep and coping with various conditions. It is a stunner – it does not only look elegant and plush, it also feels good on the skin too. Weighted comforters contain microbeads that should be evenly distributed. In the Gravity product, the weight distribution is proper and even, making it an effective tool in providing DTP stimulation. Most of the throws on the market can’t be washed in a washing machine and that’s why they have outer duvet covers. But that’s not the case with the Gravity blanket – you can wash both the inner blanket and the duvet cover easily and without the need to take it to the cleaners too. Also, the Gravity has a very nice cooling weighted blanket cover. The Gravity blanket is a very effective tool to help you sleep better. It helps you to fall asleep faster and greatly reduces the times you wake up during the night too. Overall, I really do think that it is the best product on the market for a decent price too. Many weighted users share raving reviews about the Gravity blanket online and I can confirm what I suspected from the very beginning – it is a classy product that’s worth your consideration for sure! If you’re on the market for a weighted blanket and looking for a company that offers a wide variety of designs and sizes, the YNM brand might be the perfect choice for you. YNM offers different sizes and weights options, unlike Gravity, in increments between 5 pounds and 30 pounds. You’ll definitely find the perfect size blanket for your weight and height. Also, there are lots of fabric types and colors to choose from, making it as personal as possible for a very reasonable price too. The build quality of the YNM Blanket is superb. It’s the only product on the market with seven layers that are designed to distribute pressure and weight evenly. Another positive is that it provides a good temperature control, reducing the risk of feeling constricted and overheating – it is breathable and comfortable to use. 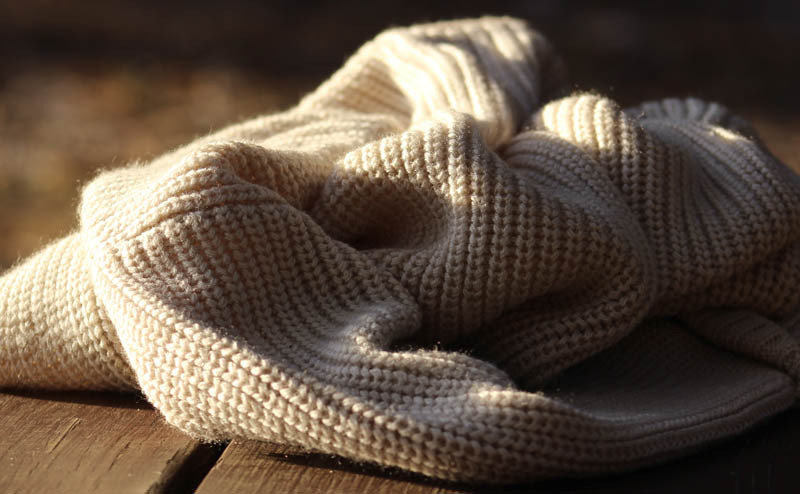 The YNM Blanket has sturdy inside pockets where the all-glass beads are placed. This way you won’t worry about the beads going out of their pockets and clumping together. It provides an evenly distributed deep pressure touch stimulation. The YNM throw is priced between $69 to $300 at the time of this review, depending on size and weight, of course. I think that’s a somewhat reasonable price that reflects its premium quality feel and its effectiveness in boosting a good night’s sleep. YNM reduces the symptoms associated with certain conditions including depression, anxiety, insomnia, ADHD, autism, and stress disorders, to name a few. 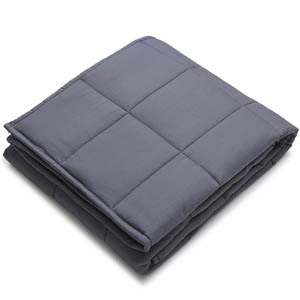 The Magic weighted blanket is also a very good bet when it comes to this type of products. Magic is one of the pioneers in producing weighted covers and throws. Starting in 1998, the company has over 20 years of experience in providing an excellent product for people who suffer from sleep problems and mental health issues. It’s the first commercially-designed weighted comforter and it offers a broad range of color variations and weights. Another positive point of the Magic Weighted Blanket is its craft quality. It is a very well-made product – there are no visible stitches, making it look smooth and plush. 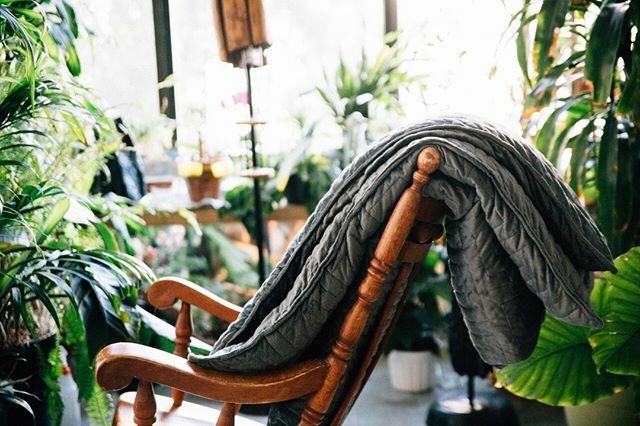 The throw itself is smooth, calming, and soft, offering a much-needed feeling of comfort and zen – as if the weight distribution is hugging you back. Cleaning and washing it is a breeze with a washable duvet and the insert. The duvet is sewn in, reducing the need for snaps and attachments. In fact, it makes washing easier and hassle-free. The Magic Blanket is pretty effective in helping to provide a good night’s sleep. It has been proven to relieve sleep disorders such as insomnia and restless leg syndrome. At the same time, it can relieve the symptoms of certain disorders that can affect sleep such as anxiety, stress, depression, ADHD, and autism, among others. The founder of the company responsible for making Mosaic, Laura LeMond, knows what it is to experience anxiety and sleep disorders. She wanted to feel safe and calm that made her looking for a way to add weight to throws and duvet covers during sleep. That ultimately led to the development of an in-house weighted blanket. What’s good about the Mosaic is that it’s available in three sizes and many different weights in order to meet the needs of a broad range of consumers. It comes in the standard sizes of a king, queen, and twin. The weight ranges from 5 pounds to 20 pounds, giving customers a choice that is the best suit for them. You have to keep in mind that choosing the right weight is crucial. The best way to go about it is to get for a blanket that’s about 10% of your body weight. That’s the most recommended proportion amongst experts and reviews. A bonus point is that they have sizes for kids as well, which helps those with ADHD and especially spectral autism disorder. The blanket is handcrafted which means you can totally customize it to your needs. It might be exactly what you’re looking for too – safe, non-toxic, and made by hand. 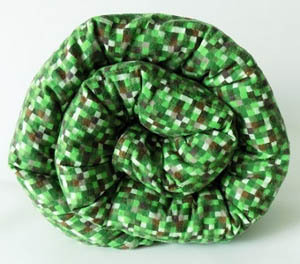 The company also offers a wide range of colors and fabric patterns for customers to choose from. Lastly, the Mosaic Blanket is made with 100 percent cotton, making it breathable and non-constricting. It won’t trap heat either, making it ideal to use year-round – spring, summer, fall and winter. Probably one of the least expensive sensory products on the market, the quality and the functionality of the Brookstone won’t disappoint you. The Brookstone blanket has been designed to help people sleep better and alleviate some of the symptoms of stress, anxiety, and insomnia, especially for those living with mental health issues and sensory problems. The Brookstone comes in various sizes, fabric colors, and types. What makes it stand out is that it’s made from 100% cotton, making it breathable and comfortable to use at the same time. Thee pellets are evenly distributed to make sure the user gets the deep touch pressure needed for many of the health benefits these products provide. The Brookstone comes with a removable cover. It is a well-made product, providing adequate pressure to help your body produce ample serotonin, a much needed feel-good hormone. With an affordable price tag, you can have a premium-grade weighted blanket that can help you cope with sleeping issues, stress, and anxiety. Although the Brookstone might seem like a lesser value than the rest of the brands on this list, don’t let the price tag fool you. It is a premium product deserving a spot amongst the best of the best. It aims to provide the benefits to help you sleep better, calm you down and your family members. When you’re looking for the best weighted throw, there are so many things you need to consider. 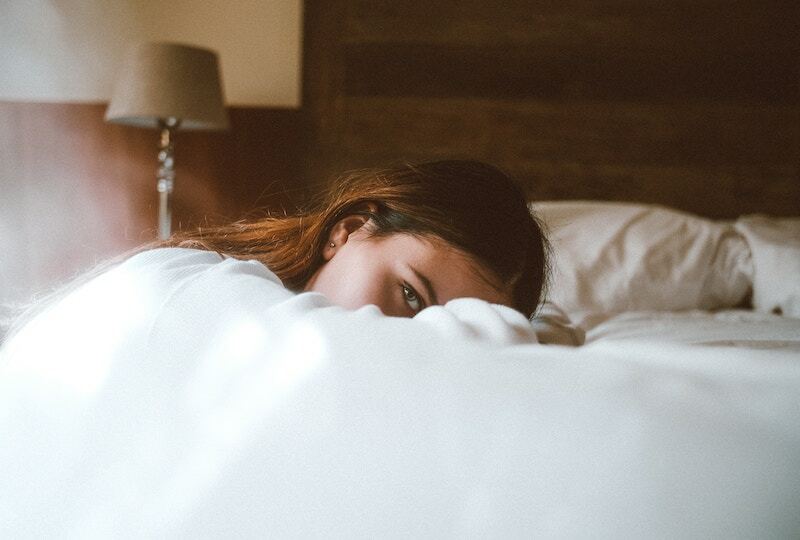 These factors can help you choose which one’s best for you and the one that’ll help you with your sleep problem. Though most of them focus on providing quality sleep and relaxation, choosing the right one can be tedious process. There are many factors and you can’t seem to choose the one that will meet your needs. To help you out, here are some factors to consider in selecting the best weighted blanket for you. One of the most important factors to consider is the size of the blanket. The size depends on the weight and how big it actually is. Some brands offer many sizes such as king, queen, double, and single. However, some offerings come in one-size-fits-all. It’s important to measure your bed and make sure that the blanket fits it or is smaller than the bed. This way, the edges won’t fall out the edges of the bed. This can alter the efficacy of the duvet cover because gravity can pull it down further. Plus, it’s dangerous for children to have bigger and heavier quilts than what’s recommended. You can also choose a duvet cover based on weight. You should remember that in choosing the correct measure, it should weigh about 10 percent of your body weight. Too light or too heavy comforters can affect the effectiveness of deep touch pressure. Aside from that, children should use a blanket that’s suited for their weight and size. It’s dangerous for them to use a bigger or heavier duvet cover. Most of them offer weights ranging from 5 pounds to as heavy as 30 pounds. The rule is, the heavier you are, the heavier the blanket should be. This makes it more effective and it improves the chances of it helping you for anxiety and other sleep issues. Another factor you need to consider when choosing the best weighted blankets is the material used in making the cooling weighted blanket. Since it is heavier than usual, high-quality fabric, glass beads and quality sewing materials should be used. If the inside pockets are not properly sewn in place, the pellets inside can spill out, making a big mess. Also, cooling is crucial for the summer and warmer climates. A cooling weighted blanket can be a real lifesaver when it comes to temeperatures about 60F or more. Aside from that, you can choose the weight depending on your preference. There are two types of filling material – plastic pellets and glass beads. The latter is more expensive but it feels premium and higher quality. Some throws come in various textile variants, colors, and patterns, while others come in bold colors. There are many issues that can be addressed with the help of weighted blankets. They are designed to help those having problems with sleep and sensory perception. People with insomnia can benefit from heavier covers because they are able to fall asleep faster and better. 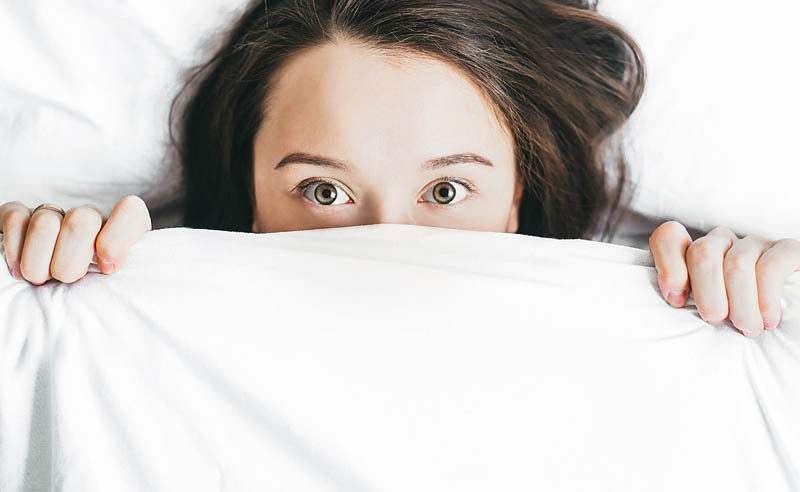 Furthermore, people with anxiety share in reviews that using weighted comforters have helped them sleep better and feel more relaxed at night, waking up energized and rejuvenated. It helps increase the levels of serotonin in the brain, triggering an overall relaxing feeling. Issues and conditions linked to low serotonin levels can be relieved through the use of weighted blankets. Moreover, children with ADHD and autism can benefit from the relaxing effect of the weight. There are numerous studies showing how heavy quilts can help calm the kids and at the same tie, improve their focus. Aside from these, weighted blankets are also being tested on other diseases such as cerebral palsy, Tourette’s, Alzheimer’s disease, and even menopausal symptoms. The good thing about some of the best companies is that they offer different sizes for both adults and children. There are weighted blankets that are safe for children, depending on their weight and size. Children with autism and ADHD can benefit greatly from weighted blankets. The parents of children who tried using heavy blankets have attested to its efficacy in letting their kids relax and stay calm at night. In turn, the children are able to focus more the next day. On the other hand, most adults can benefit from the effects of weighted blankets as well. People who suffer from the conditions stated above like insomnia and anxiety can experience relief from their symptoms and a sense of calmness and tranquility. Also, they can sleep better at night, reducing daytime sleepiness, inability to focus, and altered concentration the next day. Yes, they have been proven by many studies to work in various conditions including, sleep problems, insomnia, anxiety, stress disorders, restless leg syndrome, ADHD, and autism, among others. The best weighted blankets can provide numberous benefits including cooling and temperature control when needed. The science behind it is their ability to provide touch stimulation. It’s an effective way to boost the feel-good hormone called serotonin. Serotonin is a chemical messenger or neurotransmitter that affects your mood. When there are high levels of serotonin, the person may feel relaxed and calm, reducing the risk of depression and anxiety. Aside from serotonin, these blankets can help boost the levels of melatonin and oxytocin that can help make the person feel relaxed, too. Can A Weighted Blanket Help Me Sleep Better? Yes, it can help people who have insomnia and other sleep issues. When you use the comforter, you feel hugged, cuddled, and grounded, triggering the release of serotonin in the brain. You will immediately feel calmer and more relaxed than before. Also, when there are increased levels of serotonin, your brain also releases melatonin, the hormone that controls your body’s internal clock or the so-called circadian rhythm. It tells your body when to sleep and wake up. As a result, you will notice a pattern of falling asleep faster and sleeping through the night better, reducing the feeling of drowsiness and grogginess in the morning. You might notice improved focus at work, better performance at school and the feeling of waking up invigorated in the morning, ready for the day ahead! One of the conditions addressed by deep touch pressure stimulation is anxiety. It refers to the weight distributed on the body, mimicking a hug or cuddle. These sensations generate relaxation and feelings of security. The brain increases the levels of serotonin, which provides an overall feeling of calm and relaxation. Aside from that, heavy blankets provide a feeling of being pressed down or grounded. Also dubbed as “earthing”, this sensation can help reduce the levels of cortisol in the body at night. It’s a type of stress hormone that the body produces when you’re under stress or the “fight or flight’ mode. As a result, at night, when your cortisol levels are high, you may experience increased alertness, anxiety, and hyperactivity. Putting some weight over helps relieve some of these feelings and helps you calm down and relieve some of the anxiety symptoms. Yes, they work for adults, too. The people faced with stress and other mental health issues more are adults. 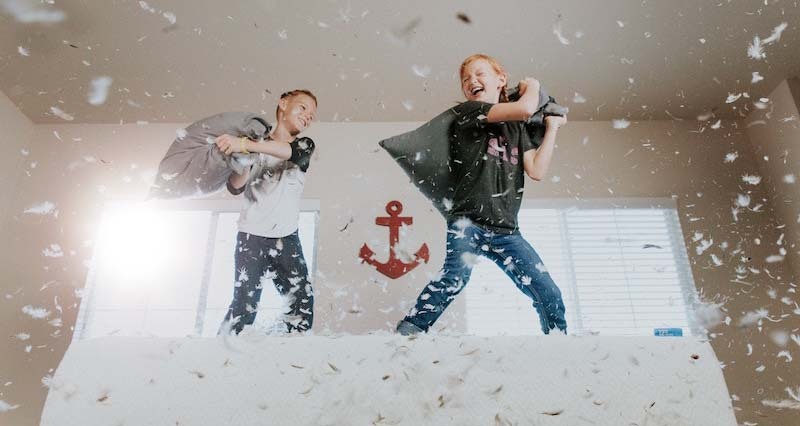 Though children with autism and ADHD benefit from sensory blankets, a large percentage of those with anxiety, stress disorders, and insomnia are early adults to middle-aged individuals. Today, more adults suffer from insomnia and other sleep problems. Weighted blankets help them have a good night’s sleep, reducing problems the next morning. Lack of sleep has been associated with many health problems, and it affects work performance. Weighted blankets are ideally used by adults to attain better sleeping patterns and reduce the negative effects on their work and life. Do Weighted Blankets Help With Depression? Weighted blankets aren’t just for anxiety. They are also used to treat depression since the weight tends to mold around the body like a warm hug, providing DTP. It helps relax your nervous system and helping trigger serotonin production. As a result, serotonin levels are increased, lifting your mood and provide the feeling of relaxation. Usually, people suffering from depression have low serotonin levels, just like people who have anxiety, post-traumatic stress syndrome (PTSD), obsessive-compulsive disorder (OCD), and aggression, among others. I really think weighted covers can really help people who suffer from depression. They can feel a lifted mood, fewer feelings of loneliness, and a happier state of mind. Can you make a DIY Weighted Blanket At Home? Of course, you can make your own weighted blanket, if you find the best weighted blanket on the market too expensive. You get to create your own design and at the same time, choose the best materials you like. This way, it will be customized based on your taste and preference and you can have glass beads, plastic pellets or whatever else you like, really. Remember, a cooling weighted blanket is a fantastic solution for adults and children alike. Weighted blankets may take some time to create, but they’re worth it, especially if using glass beads. It will be a fun project for you and your family. All you need to do is choose the right materials and learn how to sew the blanket in place. You may need pellets and weigh them out to be sure on the right weight and measurements. There are many tutorials on the internet for you to learn how to make your own weighted blanket. Can Weighted Blankets Help Children with Spectrum Disorder / ADS? Children with autism spectrum disorder (ASD) have a problem filtering sensory input. The root cause can be traced to a malfunction in one of their senses. As a result, the nervous system sends abnormal neural signals to the brain. The brain finds it challenging to organize this sensory information, making the child’s brain and body feel unsafe. At the end of the day, these kids would switch their survival mode on, triggering the fight and flight system. When this happens, they may find it hard to sleep due to anxiety and feelings of being unsafe. With the help of deep touch pressure stimulation, children can feel hugged and cradled, increasing feelings of security and boosting serotonin levels. Hence, kids will feel more relaxed and calm during the night. What Weight Should I Choose For Toddlers Heavy Blanket? The weight depends mainly on the user’s size and weight. Ideally, the weight of the quilt should be 10 percent of your body weight. For instance, if your weight is around 150 pounds, 10 percent of that is 15 pounds. The majority of the products on the market weigh between 5 pounds to 25 pounds so you should be able something that fits you right. You need to choose the size depending on your bed and body size. You don’t want the weighted blanket to be too small or too large for you. Also, it’s ideal to choose the blanket depending on the size of your bed to prevent the blanket from dropping to the bed edge. Weighted blankets can help not only those who have certain problems, issues, or diseases stated above. 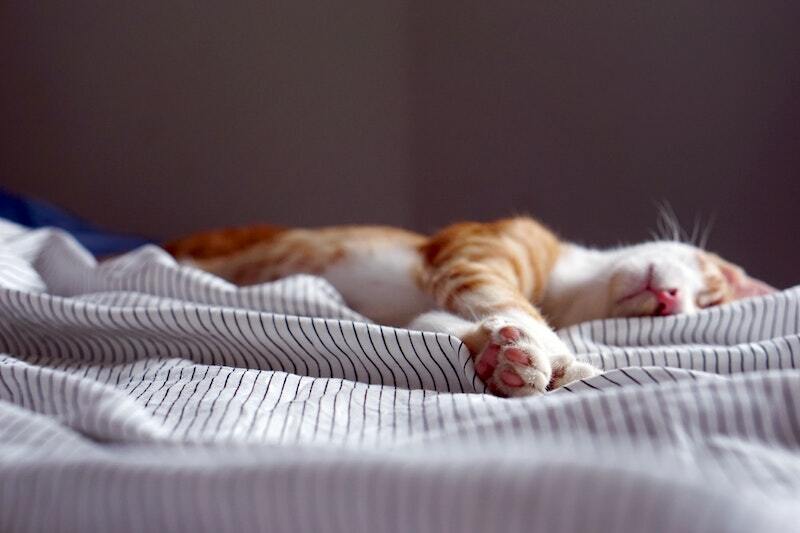 Today, with all the stress experienced at work and the hustle and bustle of the city life, many people feel exhausted by the end of the date and might have trouble falling asleep at night. Putting some weight over your sheets can induce feelings of relaxation, giving you the chance for good night sleep. That means that weighted blankets can really improve the lives of many people! However, experts warn that children should be supervised when using heavy quilts. Make sure the weight is ideal for their body weight. What Are Weighted Blankets Made From? Usually, the top layer is made of a fabric such as cotton and other high-quality materials. On the other hand, the weight is provided y plastic pellets or glass microbeads. Glass beads are more expensive but feel much and offer a luxury feel compared to plastic. Other materials used for weighted blankets are usually flannel, satin-cotton, fleece, linen-rayon, and Minky fabric. You can choose it depending on your preference but if you want a breathable fabric, cotton is a perfect choice. It makes a naturally weighted quilt feel great. Do Weighted Blankets Help People With Autism? People with autism like to use weighted blankets because they feel safe, secure, and calm. Autistic adults and kids are very sensitive when it comes to sensory inputs, making them suffer from meltdowns and anxiety quite often. To help them out, heavy tops help provide a relaxing feeling due to deep touch pressure stimulation and therapy. The children will feel relaxed, safe, and cradled, mimicking a hug or when they were inside the womb. 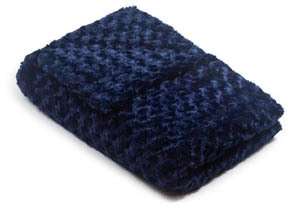 Weighted blankets have been proven to alleviate the symptoms of autism, improving the quality of life of those affected by the syndrome and developmental disease. 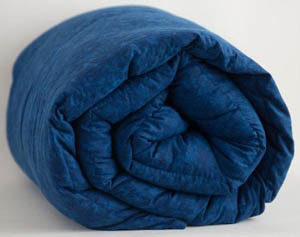 Where To Buy a Weighted Blanket? Always buy from reputable sellers and stores. There are numerous strange looking sites popping up every day trying to sell obviously fake or counterfeited products. That might not be the case at the moment for weighted blankets, but as they get popularity more and more people will try to see a dishonest product. That is the reason why we included the buying links to all the blankets on this list. All these are either trusted sources like Amazon and such, or the original manufacturer’s website where you can purchase the blanket in confidence. It’s a highly recommended product to help you with sleep, but also promote an overall feeling of relaxation and calmness. The heavy quilts are recommended for people who suffer from certain conditions including anxiety, post-traumatic stress disorder (PTSD), obsessive-compulsive disorder (OCD), depression, Alzheimer’s disease, Tourette’s, restless leg syndrome, cerebral palsy, panic attacks, and stress disorders, to name a few. Over the past years, they have gained immense popularity for being a good product in alleviating the symptoms of the conditions outlined above. At the same time, they can reduce the feeling of anxiety and worry, especially at night. It provides feelings of relaxation and security. It all boils down to deep touch pressure and its ability to boost serotonin levels. Buying a weighted blanket can help improve your mood and reduce anxiety or stress. Hence, the blanket is not only recommended for people with the conditions stated above, but also to normal individuals who want to reduce stress, feel relaxed, and enjoy a restful sleep at night. Lastly, weighted blankets are worth the price. Most companies make their blankets with love and high-quality materials. These blankets are handmade to suit the needs of the customers. You can use the blanket for years, and this means years of a good night’s sleep and reduced symptoms of the diseases mentioned above. I bought the gravity blanket a while back. Basically I like it, but after awhile all the beads ended up at the bottom of blanket. I’m older and am not strong enough to shake the blanket out and redistribute the beads. Is there one that has the beads literally sewed into each square so they cannot shift to the bottom of blanket?